I’ve mentioned previously how important it is for businesses to monitor their Facebook pages, but how does a business create a Facebook page in the first place? It’s actually not very difficult, and if you have a personal Facebook page, you have an added bonus of familiarity with Facebook. 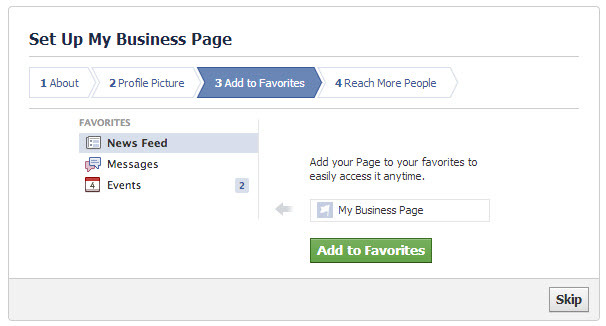 Even if you haven’t been on Facebook, my guide will help you set up a great business page. If you’re familiar with Facebook, you’ll probably already know some of this, but I want to make sure I cover everything so I can give you everything you need to know to succeed. There’s a difference between a Facebook page and your Facebook Timeline or profile and it’s very important to understand the difference to ensure you set your account up correctly. If you are already signed up for a personal Facebook account, you have a profile or Timeline. This is optimized for individuals to serve as a place to connect with friends and family members. This is not what you want for your business, however a personal account is required to set up a page. A Facebook page is one in which a business can display information, photos, videos, events and more, but instead of having “friends,” the company will acquire “likes” or fans. Pages are used to build a closer relationships with current customers as well as a way to acquire new customers and are managed by an administrator(s). Get permission from your company to create a page. Set up a personal Facebook profile for yourself if you don’t already have one at Facebook.com. 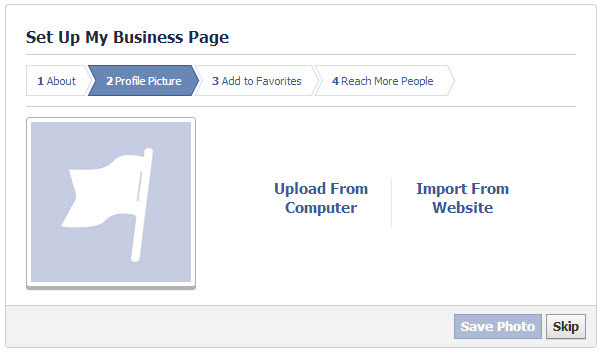 Another option is to create a generic profile page to use if you do not want to have a personal page or if you do not want to associate personal accounts with the business page. Search for your company on Facebook. Don’t assume that there isn’t a page just because no one currently working at your company knows about it. A previous employee could have created one or a Facebook Places page could have been generated when a user listed your company as their employer (click here for instructions on how to claim a page). 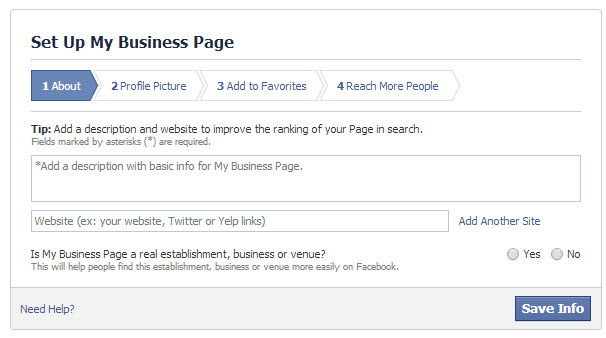 Setting up a Facebook page is easy and just takes a few minutes for the basics. I’d recommend having basic business information (i.e. year established, business description, contact info, logo, etc;) ready if you wanted to be more thorough. You can always update and change information at a later time if you want to just focus on getting the page set up. 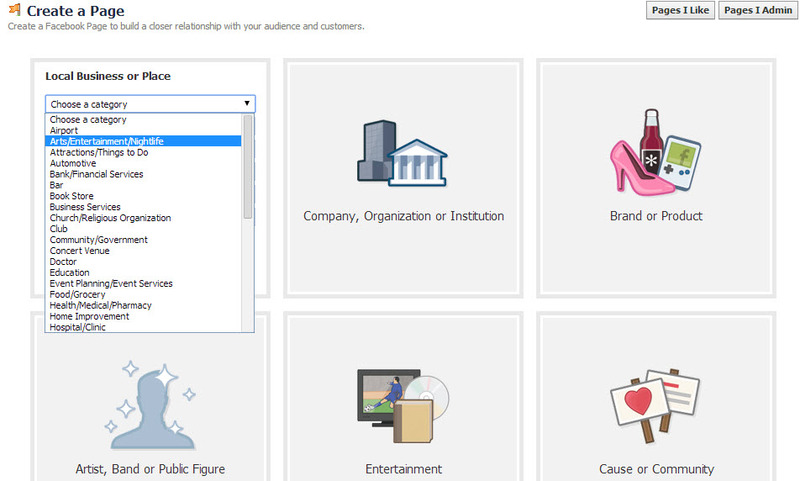 Facebook will allow you to choose a page name that becomes part of the url (i.e. facebook.com/YourCompanyName). You can always choose to enter this later, just keep in mind that they restrict how many times you can change the name. Make sure what you choose is relevant and memorable. If you enter an address, your fans can “check in” to your location and leave reviews. If you want to disable reviews, at this time, the only way to do it is by removing your street address. Facebook gives you two primary places to have images associated with your account: profile & cover images. Being a designer, my possibilities are pretty much endless, but if you are not a designer, you still have a lot of options to make your page look great. Click here to see my video tutorial showing how to upload profile & cover images to a Facebook page. The profile image is a small, square image that will show up on all of your posts. It is a way to identify you and should be your logo or other representative image. 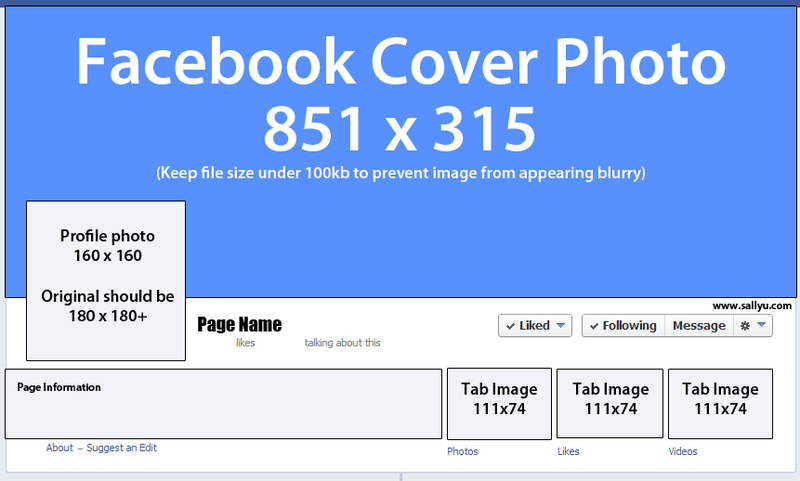 A cover image is a large image that will appear at the top of your page and will be seen when anyone views your page. Your cover photo should be representative as well, maybe a photo of the building, products sold, brands carried or atmosphere, depending on your company. Tab images might be advanced at this stage and many people don’t create custom images for their tabs, but they are the images that show up on the images, events, videos, etc; tabs. Note you can’t change all of them, but it’s nice to be able to customize them if needed. Profile image: minimum size 180×180 pixels. If the image is not square, you will have the chance to crop it to a square, just be mindful on how you crop it, that you don’t cut out part of the logo and that it doesn’t look awkward. Cover image: 851w x 315h pixels. Again, you will have the chance to crop a photo to fit, but if you wanted to create a custom design, those are the dimensions. One thing to keep in mind is if the image is over 100kb, it will appear a bit distorted and blurry, so make sure to keep your cover images under 100kb. Also keep in mind that the profile image will block part of the cover image, so design accordingly. Tab image: 111w x74h pixels. 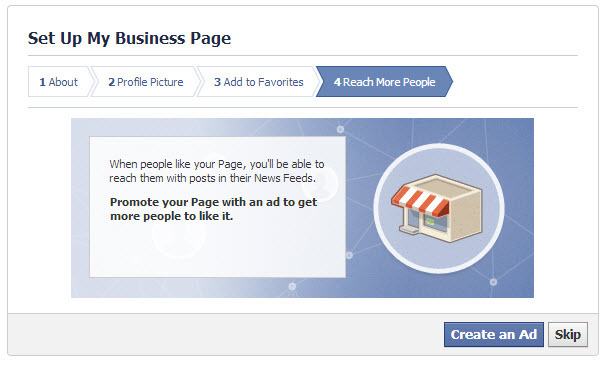 This should give you a great start on putting together a business Facebook page. Once you get your page set up, get familiar with the settings and how things work before you build up a large audience. For more Facebook advice, click here to view all my Facebook articles!